This traditional light switch with its solid oak patress body gives true authenticity to any traditional project. 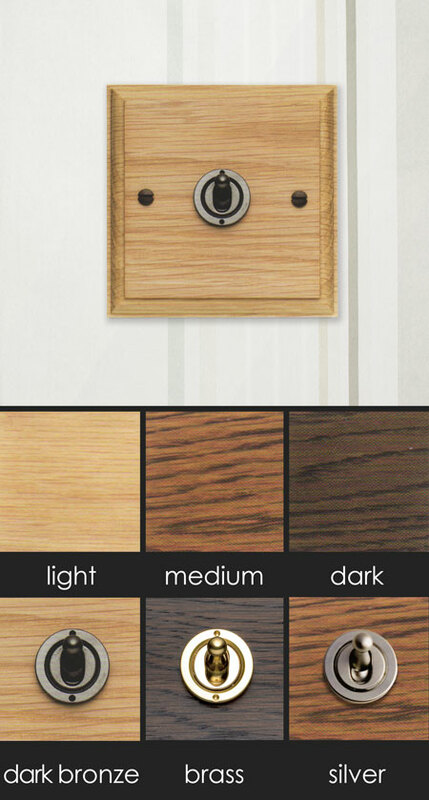 All Oak electrical light switches are available in the three patress finishes of light, medium, and dark solid oak and with a choice of 4 different dome styles. Four and six gang household switches are manufactured to special order and are non returnable. * Ideal for smart period interiors. * Light switches are 2 way.